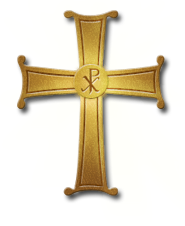 Holy Transfiguration » Why an Orthodox Christian School? We have known for a while that our youth disconnect from the Church after they finish high school. The pull of the secular world is very strong. We live in a multi-cultural and multi-religious society. The public schools have become very secular and even anti-Christian. The media bombard us on a daily basis with messages that are contrary to everything Christ has taught. Many young people do not have a strong allegiance to the Church because the Church has not given them enough opportunities to know the Faith and the Orthodox Christian way of life. The Church is failing to answer their existential questions, not because we do not have the answers, but because we do not have enough access to the young people. They are being shaped by others while we lament their loss. It is time to do something about this. Families have a hard time transmitting their Christian values to their children because both parents are working and they do not have enough time to spend with their kids, or because they themselves never received an adequate education in Orthodox Christianity and need help. Many parents (Orthodox and non-Orthodox) seeking to raise their children in a Christian environment enroll them in Protestant or Roman Catholic schools. We would like to provide our parishioners and the families that live around our church with an Orthodox Christian educational option. As Orthodox Christians, we have a two thousand year educational tradition informed by our Hellenic civilization and shaped by Christian thought and Biblical Tradition. We would like to make this Classical educational approach available to the world around us. We have a very unique perspective of theology and life as Orthodox Christians and we owe it to the Lord to present it to others, as well. We would like to give to our youth a greater exposure and a deeper experience of our Christian principles by immersing them in an environment that will offer them the opportunity to be shaped by this unique perspective of the Orthodox Church. An Orthodox Christian School will help the parents to better transmit their Orthodox values to their children. The school will teach the Orthodox Christian Faith and values along with the normal academic program. It will provide spiritual formation and guidance that will last a lifetime. The aim of this school will be to provide a holistic education where excellence, virtue and beauty, both moral and intellectual, are extolled, and where the Kingdom of God is taught as the ultimate goal of humanity. As Orthodox Christians, we want to educate the minds and hearts of our children, drawing from the intellectual traditions of ancient Christianity, which has been the foundation of civilization as we know it, so that they may thrive in the modern world. We would like to create a school that will aid our children to excel as free men and women and become industrious shining lights in their generation, adorned with the social graces and cultural expressions of our Orthodox Christian heritage. This effort is primarily about the future generations. This is about making a difference in the society around us. This is about shaping the souls and hearts of young people to love Christ and His Church. This is about creating future leaders that will have an Orthodox Christian foundation; creating future teachers, priests, presvyteres, monastics, Council members and ministry leaders for the decades ahead. Our campus will be buzzing with life 7 days a week shaping hearts and minds to love Christ, preparing people for the Kingdom of God. These are the reasons why we would like to establish an Orthodox Christian School on our parish campus at Holy Transfiguration. May God be our guide and helper for we do all this for His Glory!